Check out the list of the top 10 recruitment videos of all time! We’ve watched a ton of recruitment videos and handpicked the best ones. Hopefully, these recruitment videos will spark your creativity and inspire you to create your very own recruitment video! Recruitment videos are one of the most effective, but underutilized tools in recruitment marketing. ➡️ Download the list of most productive recruitment marketing strategies that will help you attract and hire the best talent! Recruitment videos are a great way to attract the attention of passive candidates. They are also more likely to get shared across social media then regular, text-only job posts. Additionally, job postings that include a video are more relevant and appear at the top of job seekers search results. When your potential candidates see a job posting with a video, they are more likely to click on it and apply. 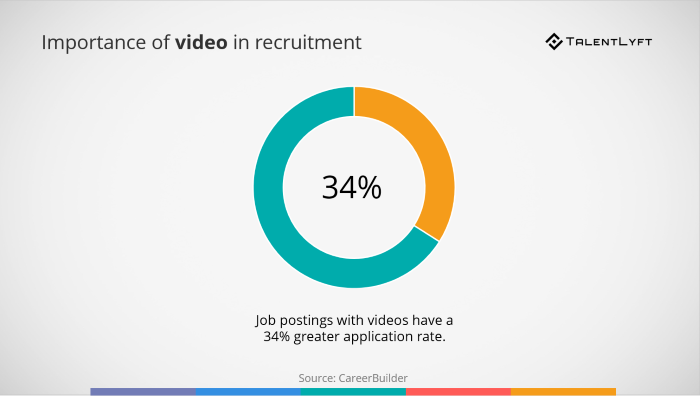 According to CareerBuilder, job postings with videos have a 34% greater application rate. 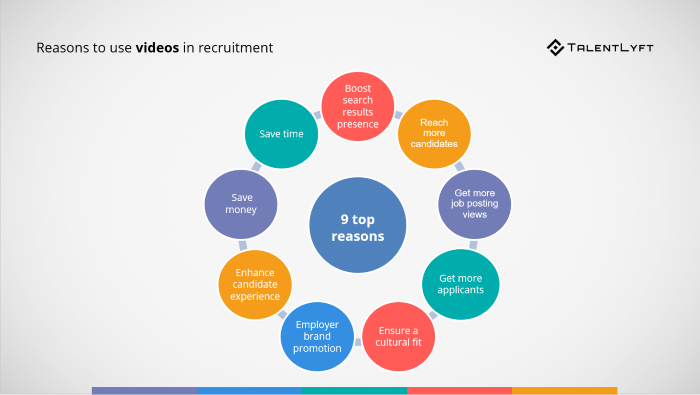 These statistic highlight a few of the key reasons why you should use a video in recruitment. Recruitment videos can be used to present your employer brand and employee value proposition, showcase your company culture, communicate with candidates in your selection process, nurture and engage your talent pool, etc. This is why many companies have started using a video and leveraging its power in recruitment. We scoured the web looking to find the best recruitment videos out there. We’ve watched a ton of recruitment videos and handpicked the best ones. Some of these recruitment videos will make you laugh, some will make you cry...But one thing is for sure - they will make you want to work at the company that produced them! This video is a part of Heineken’s recruitment campaign “Go places”. Although it is a high production video, it is far away from usual corporate recruitment videos. Usually, corporate recruitment video succeed at one thing: they make you cringe. “Go Places” is a bit different – it makes you drool. 30 seconds. No words. One scene. Pure emotion. This company told a whole story about their company culture using whiteboard messages. You won’t hear any voices in this recruitment video - you’ll feel them. TOMS is a shoe company that provides a new pair of shoes to a child in need for every purchase they get. In this video, they introduced their customer service team. They did it an honest, authentic and personal way by featuring their employees' stories. Recruitment video #6: Founders Brewing Co. This recruitment video excels at storytelling! It tells a story about the Founders Brewing company and its humble beginning in a truly inspiring, relatable way. It also radiates the passion its founders and employees feel for the beers they produce! Ever dreamed about working at the grocery store? You will after you watch this video! You won’t see a single person or hear a single word in this video. However, this video will show you exactly how it feels to work at the Seer Interactive. This video is brilliant because it is completely authentic. All the footage in this video was captured on a smartphone during the same day. And all responses are unplanned, unscripted and unrehearsed. It is so simple - yet brilliant! This video uses a narrator who kind of makes fun of typical corporate videos. Unlike usual corporate recruitment videos, this one is authentic and funny. It’s not just another company video. You will remember this one - I guarantee you! Because...Well, Muppets. Who can beat Muppets, right? Joking aside, this video is brilliant at showing Dropbox’s quirky, fun company culture. It’s unique, personal, heartwarming and humorous. This is the type of recruitment video you’ll want to share. Are you ready to create your own recruitment video? Hopefully, these top 10 recruitment videos of all time have sparked your creativity and inspired you to create your very own recruitment videos. Remember, you don't need a huge budget and professional equipment to create a memorable recruitment video! All you need is a bit of imagination, our expert tips for creating a perfect recruitment video and the courage to get started.